Music Editor Tom Hurst sat down with Casper Sanderson over a cup of tea last semester to discuss the talented acoustic singer’s interests and history with music. Casper is a composer of beautifully intricate and emotive, alternative, oftentimes instrumental rock and it is great to get a look into what he thinks about the basics and the future of his music. What music are you listening to at the moment? Any artists in particular? 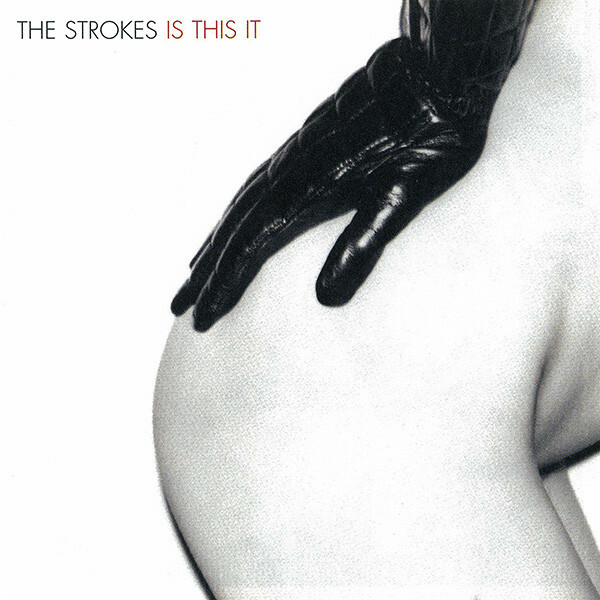 I’ve been listening to a lot of The Strokes, weirdly enough… I don’t know, maybe it’s because Alex Turner mentioned them in the [Arctic Monkeys’] new album, which I’m still lukewarm about, by the way. Yeah, Tranquillity Base Hotel & Casino has received pretty negative feedback on the whole. I think so… I mean, it’s weird because I’ve heard that if you listen to it more (like ten times or so), it grows on you, apparently. I don’t have the patience for that. That’s a tender spot, whether it’s really ever the point of albums to actually have to grow on you. Yeah. It’s so different from what you’ve heard before, I guess. Sure. And The Strokes, they’re from New York, right? Yeah. I was listening to their first album, Is This It, which is good. Also, the new Beach House record is great. Beach House is a dream pop duo and they’re really cool. Okay, so when did you start getting into this sort of music generally, as well as singing and playing the guitar? I learnt the cello when I was quite young, around the age of six, and I played that until I discovered the Red Hot Chili Peppers when I was at a holiday home. From then on, I sort of lost all interest in the cello and started playing the guitar. I also started singing as soon as I began playing the guitar. I found a really old voice memo on my phone from 2012 and that was the first time I recorded anything. It was like a sh*tty Californication! It’s been about six years, then, since my taste in music changed. Do you still play the cello at all? No, I wish! Even Nirvana used the cello in some of their songs. It’s such a sick instrument, I really regret quitting. I’d like to take it back up again. So, do you compose all of the instrumental stuff in your music? Do you play all of those instruments? You still have a pretty strong repertoire, then! Yeah, I’d hope so. I mean, I’m not the best at drumming or beats, but I think that’s quite a tough thing to do. Can you play the guitar? What about bass? Yep. I have a keyboard as well so I use that, but I’m by no means a pianist. Sick. So the keyboard, presumably, is a midi keyboard? How did you get into that if your influences mostly come from rock? I don’t know. I really, really love hip-hop. Artists like J Dilla just blow my mind! And I really love what Ferdi[nand Vermersch] does as well. Sort of lo-fi beats but they have a certain texture to them. Looking at what it is you’ve worked to improve on, are there people that have influenced you significantly? Well, I guess Jonathan [Quow] and Ferdi. We hung out quite a lot in first year and with them I sort of had my real first experience of looking into the production aspect of music, as well as electro and hip-hop songs. We worked on a few projects together that never actually came to fruition, but even though they didn’t, I think they were a really good stepping stone, at least for me and Jonathan. I think Ferdi had his sh*t together already. He knew his stuff. What about big artists influencing the sound you’re pursuing? I really like Radiohead. I feel like whenever I compose something sort of electric, it’s more their sort of style. As far as acoustic goes, I admire Bob Dylan a lot. But obviously his voice… I’d like to sing better than that! And I guess The Beatles. I really love Nick Drake, too. And how would you describe the sort of sound that you are pursuing? It’s weird because, ideally, I would want to be in a band and compose with other people. This is pretty obvious from your instrumental stuff. Yeah, but I’d say that the things I don’t record are just acoustic guitar songs and what I do record tends to be instrumentals and, I guess, more ‘rocky’ stuff. But I have to work on bridging the two in a way. I could use a looper with a guitar to conjoin the two. I was really trying to mess around with that over the summer. Was that your goal over the summer? To kind of pursue your sound? Yeah, exactly. I wanted to record a lot of the songs I do have so I can put them aside and move on. Is that how you’re intending to go about making EPs? I think if I release those albums, it would be a collage of stuff I’ve worked on, as opposed to a fully conceptually structured, organised thing. Then I can move on to pursue an actual conceptual album, if that makes sense. It would be more of a mix of songs that I’ve worked on. I guess more of a mixtape than an album. And apart from that, do you just release stuff through SoundCloud? Yeah, I mean it’s kind of intimidating because I really want to release on Bandcamp, but I’d like to be quite proud of what I’ve done to release it on that. SoundCloud is like this middle ground where I release it to my friends, but I’d like to make that leap and I think I can. Would that then come through, as we were previously discussing, your setting up of a label through Music is Love? I don’t know. I feel like I wouldn’t want to profit from the project I set up. But there are some events that I want to hold, such as writing sessions and production workshops and maybe even a ‘battle of the bands’. The talent show was quite good, but it would be so cool to have a label, and maybe in relation to the ‘battle of the bands’, a vote on the most popular song. Then I could release it on Bandcamp, say 50 or 100 vinyl copies. I feel like if it’s quite a popular song, it would sell quite well. That would be really nice! Cool. Back to your music, in particular. I quite like asking acoustic singers this: your lyrics are quite personal, so is there a particular song you’ve made that you like the most? Even your instrumental stuff is quite emotive. Hmm, there’s a song I wrote called Gymnópedie, which is from a piano piece [by Erik Satie]. I really enjoyed that one. I think I was in the shower singing along and it just sort of happened, I guess. So that was quite organic and I really enjoyed that process. It felt quite intimate at the time, as well. But actually, when I was in Oxford during the break – I haven’t recorded this at all – I jammed with this guy I just met and that was probably one of the best jams of my life. He just played a piano piece and we came up with a whole song, like straight up. I would say that’s probably the most intimate one because at that point it was just me, one of my best friends and the guy I had just met. It felt like I had opened up more, so that’s cool. Is that the process you like to go about when making music? Just jamming and then seeing if anything comes of it? Yeah, I mean, I really like it to be organic, but I know that I need to work on the more constructive side of things, like putting pieces together and mixing them so the music is actually pleasurable to the ear. But I really love that feeling (I’m sure everyone does!) of just being taken up by a wave of creativity that other people feed off. And how do you find reproducing the “wave of creativity” you experience into something you can communicate to other people? That’s an interesting question! It’s interesting because there are so many different ways. There was one song with Jonathan where I just played the guitar and he already had lyrics and just wrote an amazing melody over it. We then added an extension to it together, like a sort of epilogue I guess. With Leo [Clayton] at one point, I just gave him a bit of guitar and he constructed a whole song around it with Matilda. It’s tough because obviously everyone has very different ways of writing. I think Matilda very much approaches stuff with lyrics and then writes around that, which is awesome, and from that her lyrics are far more interesting, I guess. I also like trying to be able to access that space. You know, when I can. Do you work with other people in St Andrews a lot then? Yeah, I really like to take advantage of everyone who’s here; there are so many talented people which doesn’t surprise me at a uni like this. It’s a shame that in the past few years there hasn’t been a framework for them to meet. I’d really like to set up something like that. You’d definitely have to make sure it gets the right exposure. There are some f*cking talented people here but people just don’t know about them, even with all the stuff Music is Love puts on. Yeah exactly, it’s true. I mean, Jonathan is probably the most talented musician I know here and I can’t believe he’s not the star of the uni! Do you get the opportunity to perform much in St Andrews? I’d say so. I think with my genre of music (or at least the one I most comfortably play), I don’t necessarily have to rehearse for most of the performances because it’s already a set of songs that I’ve worked on. But it would be cool if acoustic guitar musicians weren’t just the default option, so I would like to play less, I guess! That would be nice. Okay, but tell me about Sofar Sounds because they’re sick. It’s really awesome! It’s fun because I feel like that was the epitome of where the acoustic music/guitar/songwriter thing was taking me. I think that’s really the furthest I could go with it (I mean in that structure with a guitar and a microphone). I think I was really proud of that set and I had a lot of people participating from the audience and stuff - that was a lot of fun! When you use a workstation like Logic Pro you can layer things so much more easily, but it would be really sick to translate that to a looper or something like that. I think that’s quite impressive and I think it’s quite unique as well. Interesting. So you’re really trying to find a bit of a niche? Exactly. That would be really cool because there’s quite a big pool of ‘guitar-ukulele’ musicians, I guess! Yeah, that makes sense. So in that respect, it sounds like the work you’re putting in is likely to continue after uni? Haha yeah, it would be nice not to leave them useless after uni, but I definitely always want music to be a part of my life and to meet musicians. It would be difficult to abandon that. Whether he starts singing in Russian or finally makes use of his looper, make sure you stay on top of Casper’s considered and impressive work via his SoundCloud page (https://soundcloud.com/cas21) and any chance you get to see him perform in St Andrews or his home county of Oxfordshire.